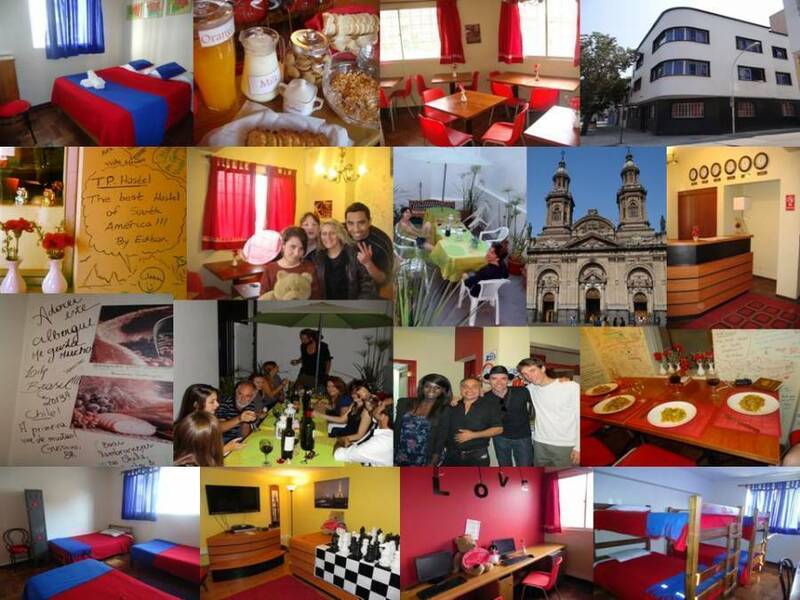 Traveler's Place Hostel is located in the middle of the bohemian neighborhood of Barrio Brasil, a walk away from Santa Ana and Los Heroes metro stations, the touristic spots and Santiago's nightlife. 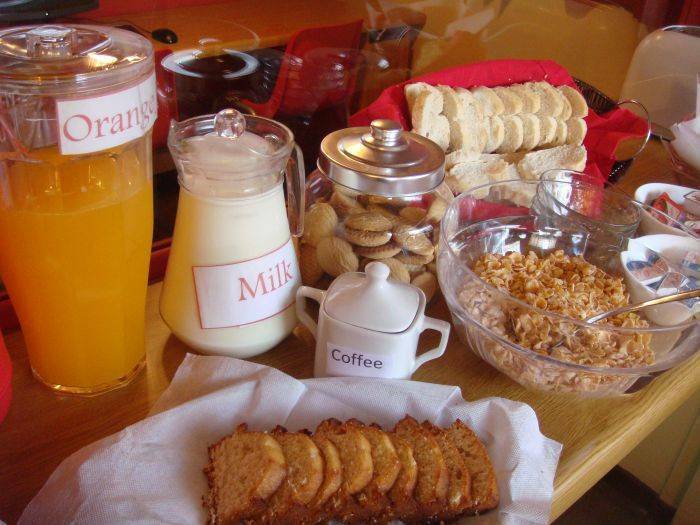 In our recently inaugurated and completely restored building you will feel just like at home! If you are looking for a clean, safe but above all relaxing and fun place to stay don't look further! Our multilingual and friendly staff will help and advice you in order to give you the most pleasant stay so that you'll bring back unforgettable memories. 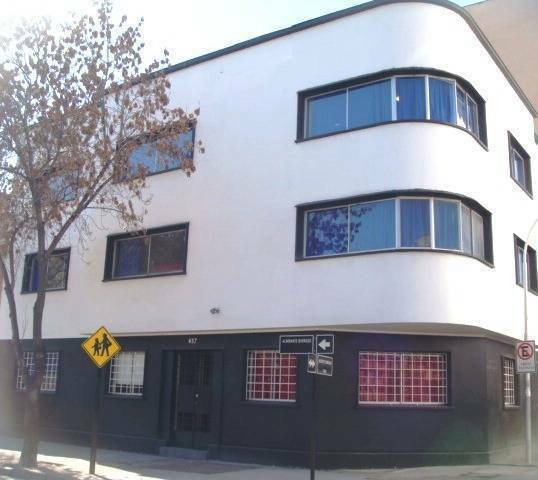 Traveller's Place Hostel beautiful art-deco building was originally built in 1945, and has been recently restored. Our multilingual staff is very friendly and has the knowledge and experience to help you in all your needs while you are visiting our country. So please do not hesitate to ask! 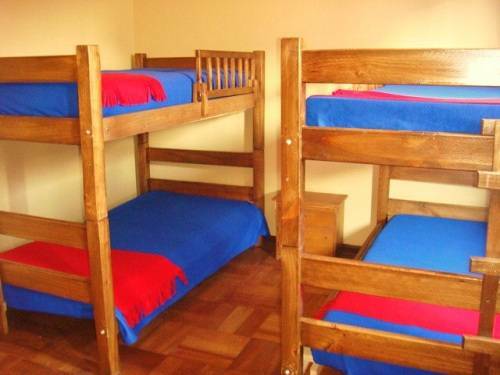 We offer different types of rooms from single to 6 beds dorms, so you can chose the most suitable for your stay. In our great common areas you'll socialize with other travellers from all over the world, seat and play games, watch TV, listen to music, surf on the internet, share your experiences in our terrace or simply relax and enjoy after a long day visiting the capital city of Santiago. What´s even better, you can also enjoy different activities organized by our staff especially for our guest, where you are going to see the city surroundings, share with very different people and have a good time. 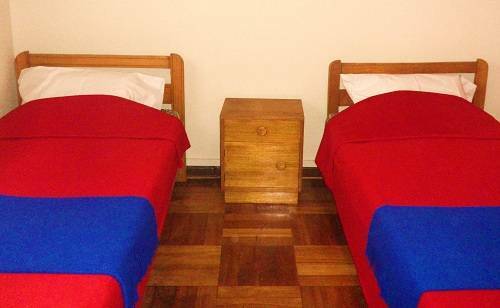 Traveler's Place Hostel is located in the middle of the bohemian neighborhood of Barrio Brasil, a walk away from Santa Ana and Los Heroes metro stations, the touristic spots and Santiago's nightlife. The payments are at the arrival. Cancelled reservations: 2 days (48 hours) in advance of arrival, no charge. Otherwise: One night penalty charge. No show: one night penalty charge. Early departure : 1 night penalty charge. Chilean residents must pay 19% VAT on arrival, in addition to the published rate, according to the Chilean tax law. This rate is not calculated at the time of booking. 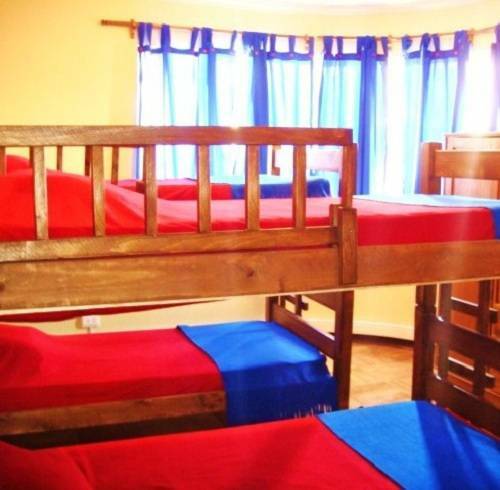 There is no capacity for extra beds/costs in the room. Please note that guests checking out from 12:00 until 14:00 will be charged 50% of one night, whereas guests checking out after 14:00 will be charged the full amount of 1 night. The cheapest way is to take the Centro Puerto bus from the airport to the Los Heroes Metro Estacion and then walk 5 minutes on Almirante Barroso to the number 457 where we will be waiting for you. The trip cost around 1 400 $/person and is available every day from 6:00 to 24:00 (every 30 minutes). If you do not want to walk you can also share a Transvip minibus that will leave you in the front of our hostel. The service is available 24/7 and will cost you around 5 500$/person. Finally if you are numerous and/or looking for the comfort of a private taxi for an average cost of 15 000$. You can whether contact us to organize a pick up from the airport, or get an official taxi (booked at the counter), ask him to leave you in front of the hostel. If you are arriving to Santiago by BUS, the easiest way to come to get here is to take the metro that will not be more than 620 $/person, the best thing is that we are accessible by the three main metro lines. Lines 2 and 5 (green and yellow) go to Santa Ana Estacion, walk one block on Cathedral Street and turn left on Almirante Barroso (5mns). Line 1 (red) go to Los Heroes Estacion and then walk a few blocks on Almirante Barroso to the number 457 where we will be waiting for you (10mns). If you are coming by CAR and need a parking, please let us know in advance to book you one spot.